Together, FOSRAS and SRAS work as a team to organize on-site and off-site adoption, fundraising events, volunteers, learning opportunities and so much more! This event is merely one of many that supports the shelter. Online registration is now closed. On site registration begins at 7:45 a.m. on Sunday October 9 at Duke Island Park. 10:00 a.m. 5K Dog Walk begins -YOU CAN REGISTER ANY TIME DAY OF in person!!!!!!! 9:00-12:40 p.m. – FOSRAS Photo Booth: Take an Autumn Pic with your 4 or 2 Legged Friends! 8:30-12:40 p.m. – Somerset Vet: Ask the Vet!! UPDATE: Pre-Registration ends at 9AM Saturday Oct 8th; On-site Registration/Check-in starts at 7:45AM and wraps up at 8:45AM. See you there! 9AM Start Time! Rain or Shine! Pre-register $30, day of event $35. The Race will be professionally timed using RFID Chip Technology. UPDATE: Pre-Registration ends at 9AM Saturday Oct 8th; On-site Registration/Check-in available at event. See you there! Flexible start between 10AM and 11:30AM! Pre-register $25, day of event $30. The Dog walk is a family-friendly leisurely stroll with your best friend! Kids under 12 walk free with a registered adult. Registered dogs receive a doggy goody bag (while supplies last). The walk is not timed or sanctioned. Enjoy a variety of vendors, exhibits and food trucks! 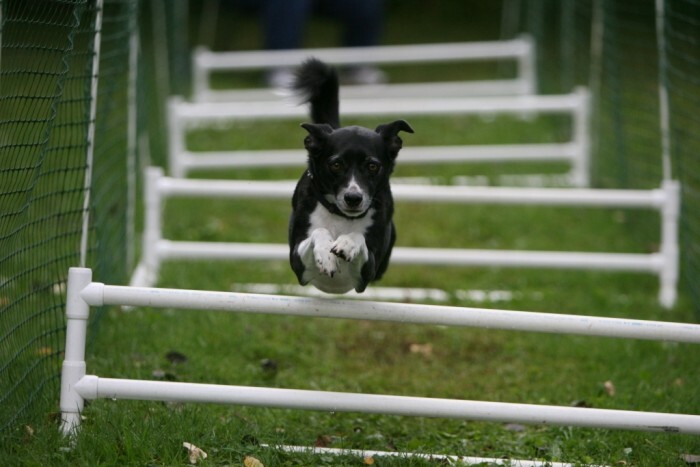 Pets can get in on the fun at our Try It Agility Course! The Friends of Somerset Regional Animal Shelter (FOSRAS), a 501(c)(3) corporation, is a volunteer group designed to support the Somerset Regional Animal Shelter (SRAS). The Somerset Regional Animal Shelter is a not-for-profit municipal organization that provides animal control services and cares for approximately 1,000 lost, abandoned and surrendered animals per year. FOSRAS meets monthly at the Bridgewater Library, North Bridge St. and Vogt Drive. Meetings begin at 7 PM. Please join us — all are welcome! The shelter is looking for foster homes for puppies and kittens. Please contact the shelter if you can help 908-725-0308. Request friends and family to sponsor your run or walk. Participant with the highest amount of pledge funds ($) wins a $250 gift card; 2nd place will receive a $100 gift card!! To receive credit for pledges collected, all walkers must turn in monies collected on the day of the walk. To receive credit for corporate gifts, matching gifts forms must be submitted on the day of the walk along with the registration form. Please make checks payable to Friends of Somerset Regional Animal Shelter. Dogs are welcome to join the Walk ONLY. Dogs are not allowed on a sanctioned course so they cannot participate in the run. NOTE: NO Flexi Leashes please. We need to keep our 4 legged friends close by when there are so many good things going on! 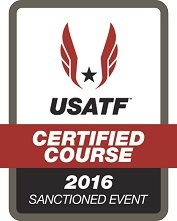 Yes, the 5K course has been measured for accuracy, meets criteria for USATF distances, and is certified. This ensures that each participant can reliably compare his or her performance to those of other 5K races and be eligible for potential records and rankings. You are welcome to register on the day of the event. Pre-Registration is not required. Run: Pre-register $30, day of event $35. Walk: Pre-register $25, day of event $30. The race will go on as scheduled, rain or shine. Dress appropriately. If lightning is in the area, the race will be called or delayed for the safety of the runners. The race director reserves the right to cancel the race if it is deemed unsafe for participants and volunteers. No refunds will be given. Yes, there will be water stops along the course for walkers and runners. This is not a closed course. However, Park Rangers and Volunteers will be directing non-participating park visitors to an area away from the course to protect runners and guide traffic accordingly. Park Rangers and Volunteers will direct you to the parking area. Will the Walk take place at 10:00 a.m. if 5K Run participants are still out on the course? Yes. Many of our 5K runners complete the course within an hour. This allows the opportunity to attend scheduled events/activities without having to wait hours for them to begin. Are there any Dog Safety Rules or Restrictions? -No Flexi leads, only 6’ leads or less – Dogs must be current on shots – No Dogs in Heat – Please do not bring pets whose behavior may endanger others.